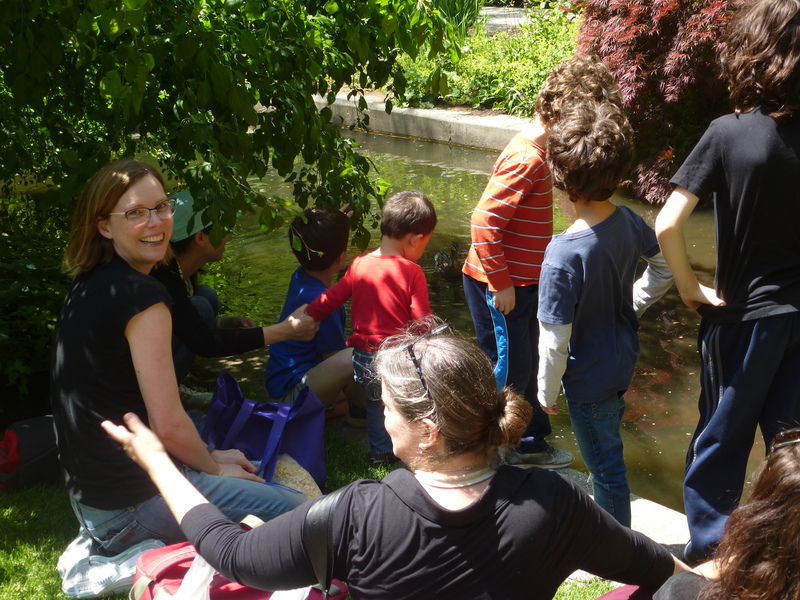 When I met Anna at the pond at 2 p.m., she was completely surrounded by excited kids who wanted to feed the ducks. (School was over yesterday.) 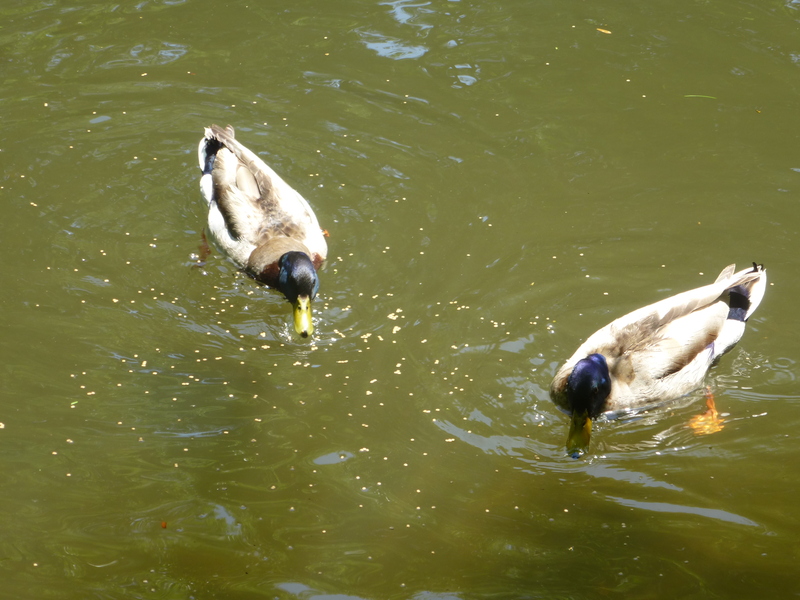 So she gave them mealworms and duckling starter food, and they all had a good time feeding Honey and the brood. Look closely between the kids and you can see them. 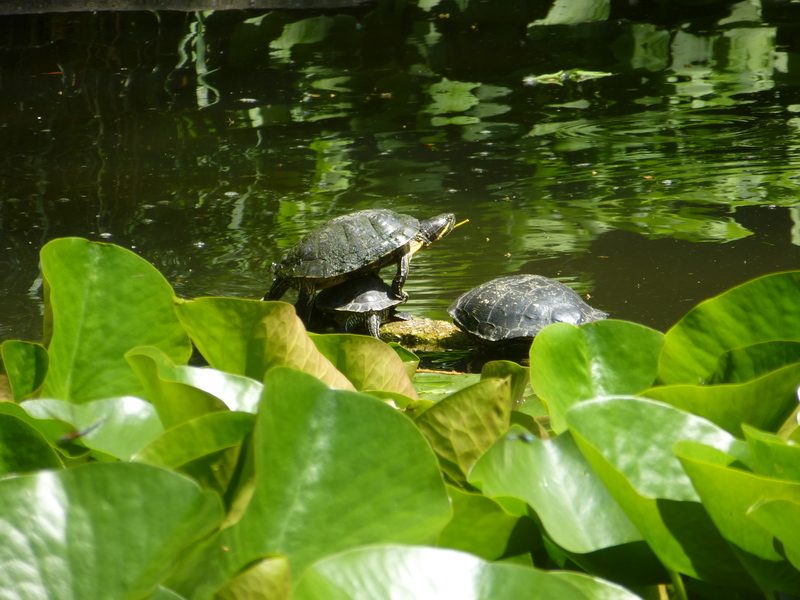 We kept Frank and Henry busy at the other end of the pond by feeding them. I feel sorry for Henry, who’s at the bottom of the pecking order. But he gets along with Frank, who’s at the top, so the order isn’t transitive. They were hungry! And your special treat: a video of bathtime filmed by Anna on her cellphone. You can see Honey overlooking the fun, Frank on his way to join them and then, 12 seconds in, a duckling shakes his tiny little stubs of wings. Some day those wings will carry him hundreds of miles. Be sure to watch this with the picture enlarged! 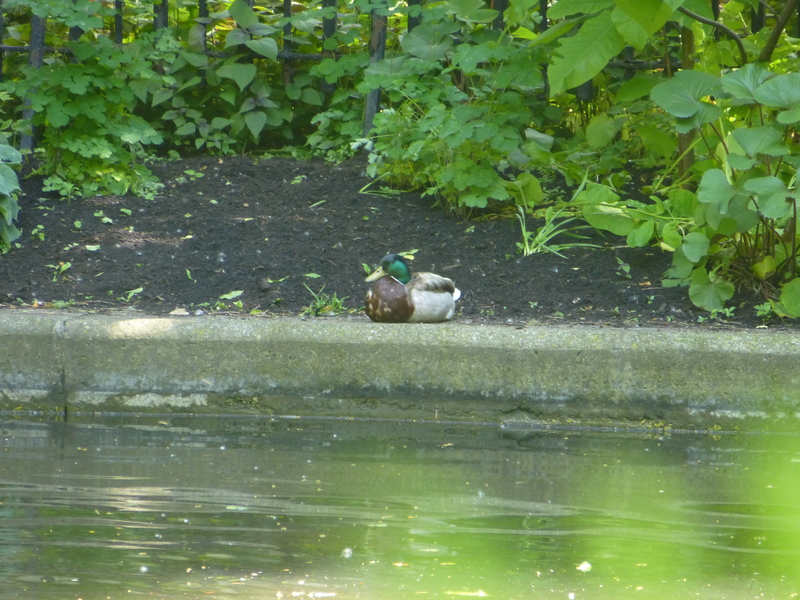 This entry was written by whyevolutionistrue and posted on June 7, 2018 at 3:00 pm and filed under ducklings, ducks. Bookmark the permalink. Follow any comments here with the RSS feed for this post. Both comments and trackbacks are currently closed. We always look fatter in photos. Agreed, shrinkage would be unusual, especially when so systematically fed. They’re so cute, and the video is wonderful! 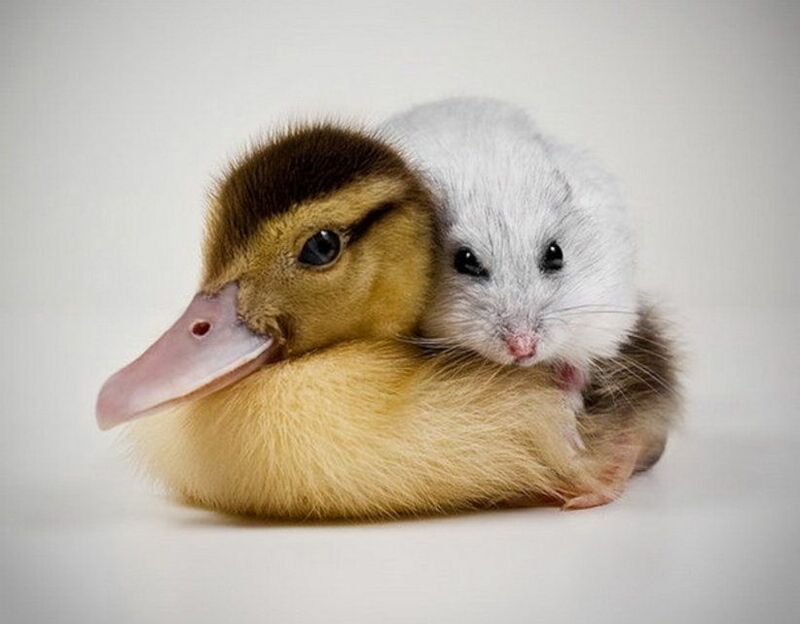 I have noticed, as time went by from your first duckling post and each succeeding ducklling post, that they have been steadily growing! I understand that you haven’t noticed it all that much – just as parents don’t see their babies’ growth as well and markedly as do others, that’s because they are with their babies all of the time. 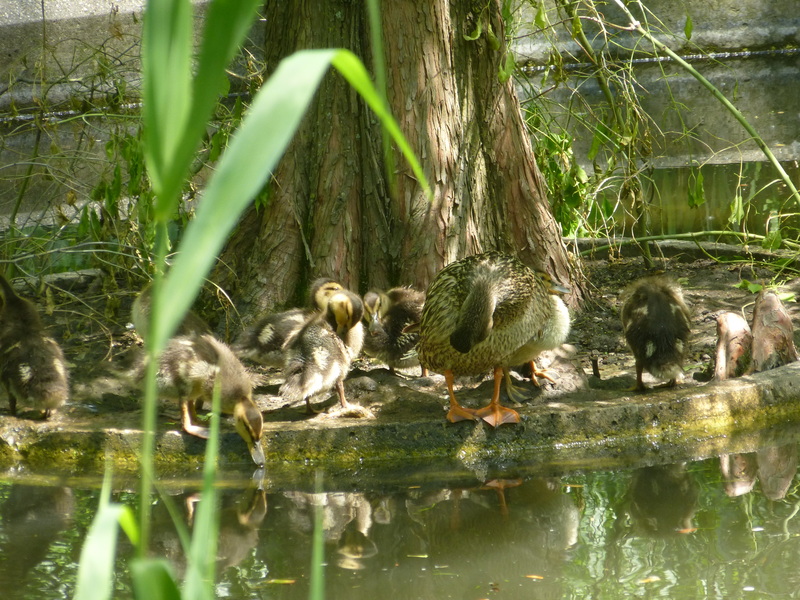 I have always loved ducks and other aquatic birds, and found ducklings to be devastatingly cute! A picture of Botany Pond posted on the Chicago Booth instagram account. Assume that is Frank and Henry floating along. The various UofC (one of these days I might call it uchicago) instagram and facebook accounts regularly post pictures of Botany Pond. Can ducks eat chocolate bars? I do my best. He’s not starving, believe me. In the video Honey seems to be “wagging” her tail in motherly joy in response to the duckling trying out its wings. They are a lot larger now. Their bodies are roughly half the length of the adults. When we first saw them, they were roughly 1/4 the length. More likely, Henry is an ABD who works as a bartender at Jimmy’s. Do any ducks there eat peas? ISTR some did last year. No, they eschew peas, lettuce, fruit, and all green vegetables. But the duckling started food is packed with nutrition for both ducklings and adults. 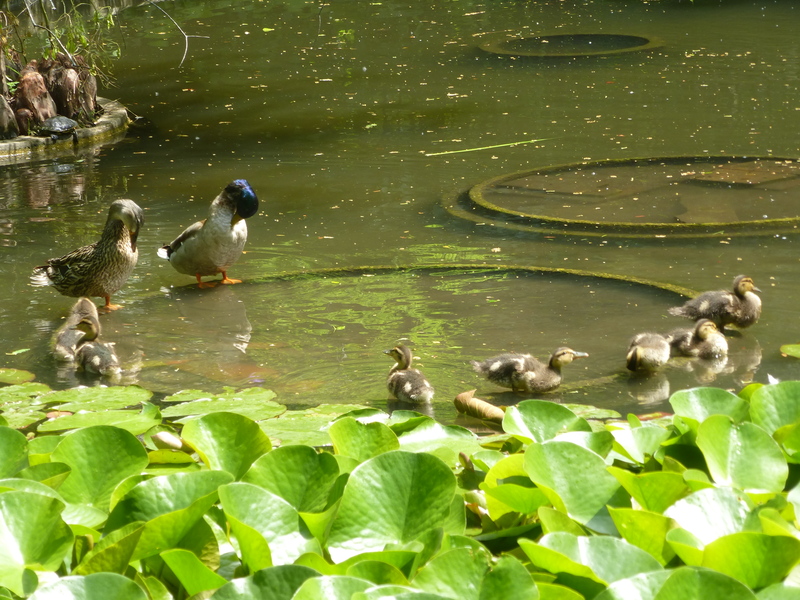 Botany Pond with the ducks and ducklings, the turtles, PCC and lovely surroundings – it’s enchanted. 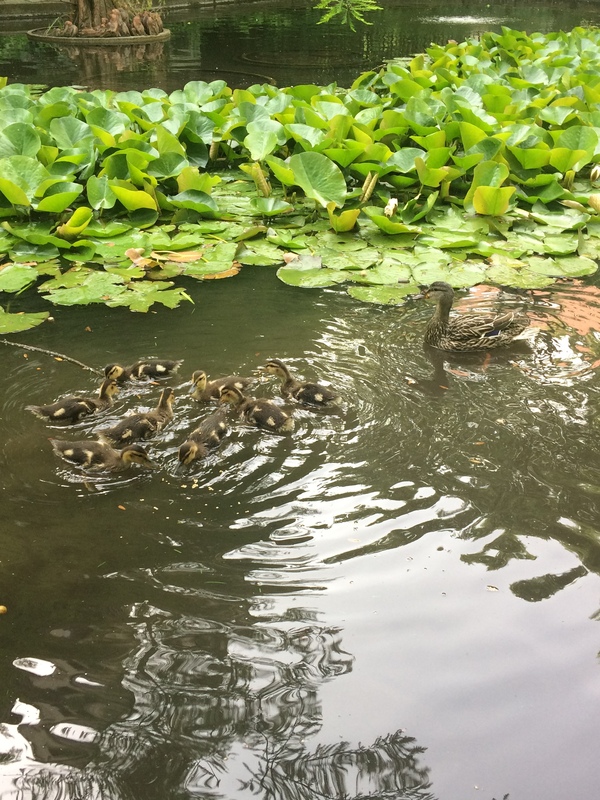 The ducklings are big enough now that I think they might all be flying south with Honey and Frank. ‘Turtles all the way down.’ It makes me laugh every time. Wonderful post. Thanks, Jerry, Anna, Sanja!